I have been meaning to write this entry for a while. Finding the time to sit down and write is difficult when you have to wait for naptime. This entry actually has to do with Little Bread Baby (LBB). Also Little Bread Niece (LBN). Here is a story about Little Bread Niece. This is a picture of Little Bread Niece about a year ago. 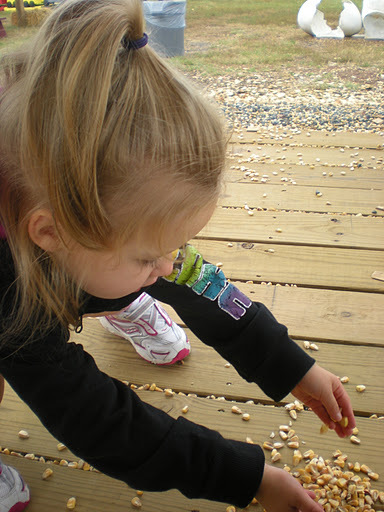 She has a soy sensitivity which means her mother needs to be extra vigilant about ingredients in her food. This usually means most of what she eats is homemade. Not that that’s a bad thing, of course. LBB so far does not have any food allergies or sensitivities, but I think it’s safe to say our family is more aware than most people about what goes into our food. I decided to make graham crackers for Little Bread Baby after reading the labels of so-called natural and organic baby snacks. 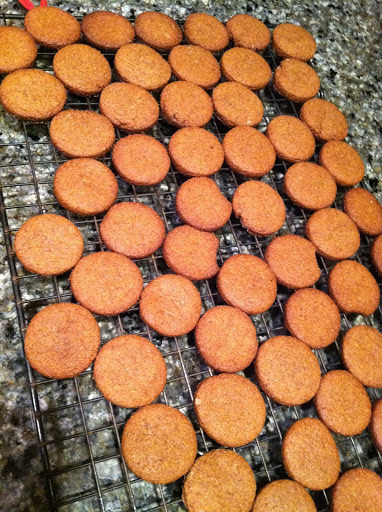 These graham crackers are incredibly easy, and have no weird preservatives in them. I keep them in a plastic bag that I can throw in my purse or the diaper bag before heading out to the park. 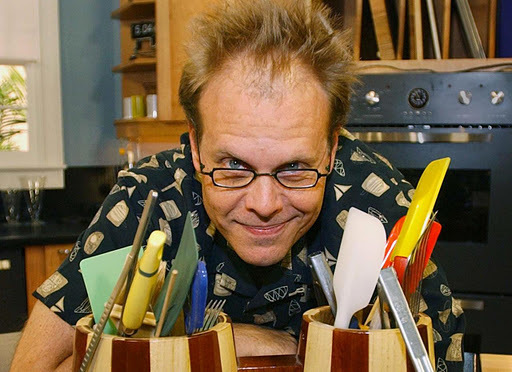 Another bonus is that the recipe comes from Alton Brown, one of our favorite celebrity chefs (the only one we can really tolerate) on Food Network. It has been slightly modified, but the original recipe is here. The recipe is basically like a pie dough. 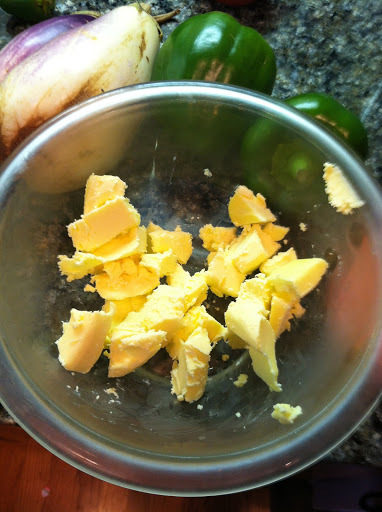 For those of you who think “pie dough is so hard to make,” fear not. 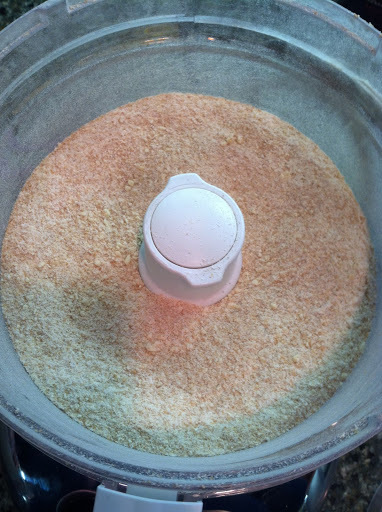 8 3/8 ounces graham flour. 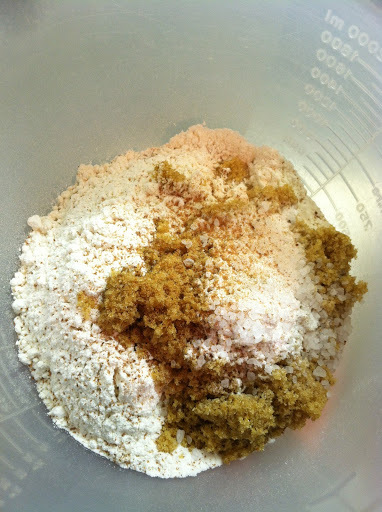 You can find graham flour at Whole Foods or other specialty store. 1. 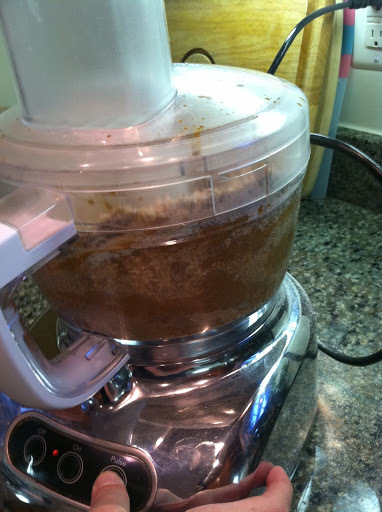 Put the dry ingredients into the bowl of a food processor and pulse several times to combine. 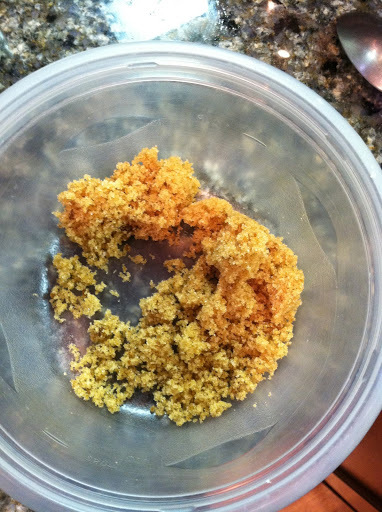 Before I go on, I would just like to point out that for the first time, I MADE MY OWN brown sugar. Crazy, I know. 2. 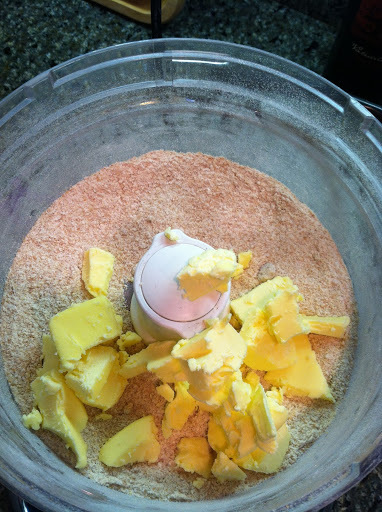 Add the butter and pulse until the mixture resembles cornmeal. 3. 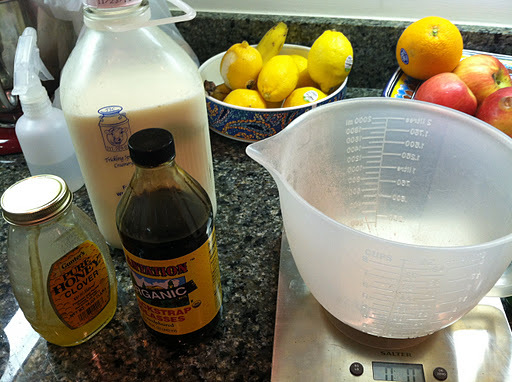 Add the molasses, honey, milk and vanilla extract. 4. 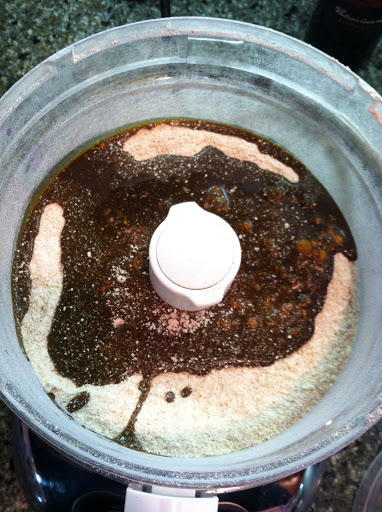 Process until the dough forms a ball, approximately 1 minute. 5. Press the ball into a 1/2-inch thick disk, wrap in plastic wrap, and refrigerate for 30 minutes. 6. 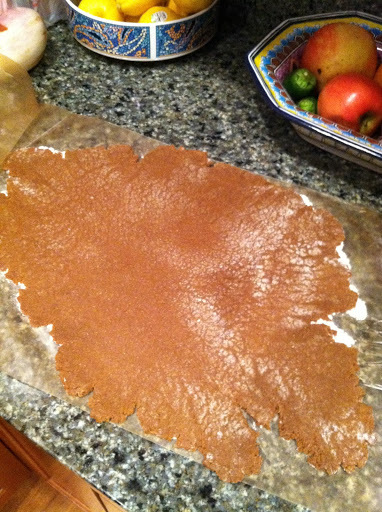 Preheat the oven to 350 degrees F. Unwrap the chilled dough and place it onto a large piece of wax paper and top with a second sheet of wax paper. 7. 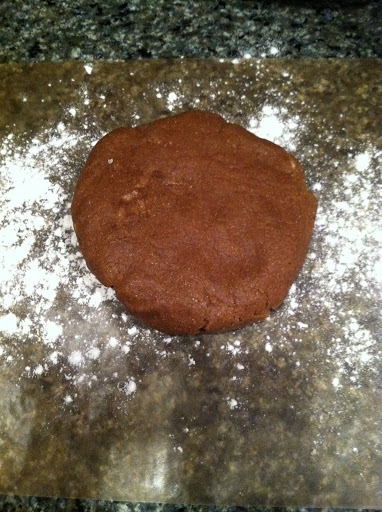 Roll the dough out until it is 1/8-inch thick. 8. Remove the top sheet of wax paper and either cut the dough into squares using a rolling pizza cutter or do what I did, making little circles with a small biscuit cutter. Your choice. 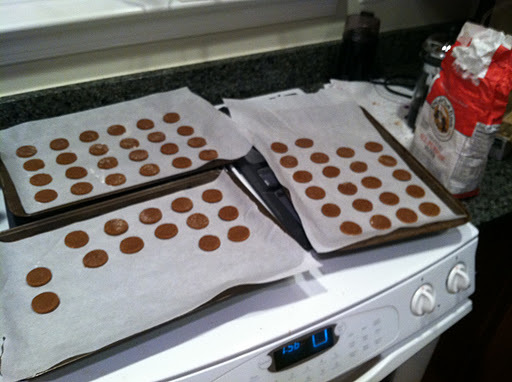 Put the cookies onto a baking sheet lined with parchment paper. 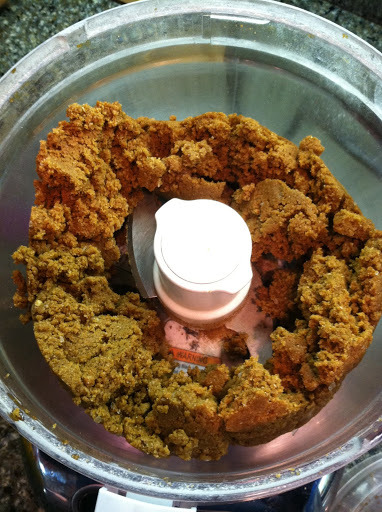 Do NOT use wax paper for baking or your cookies will turn out all waxy and gross. 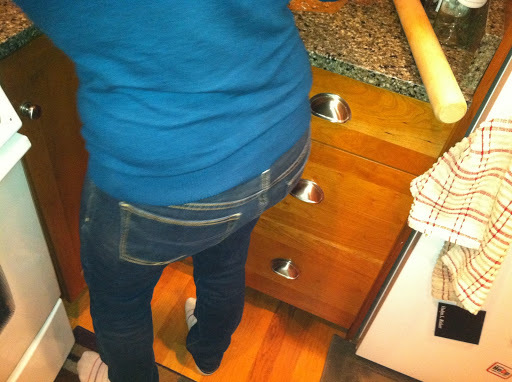 This is what you get when you ask your husband to take an action shot of you cutting out the cookies. 8. Bake on the middle rack of the oven. 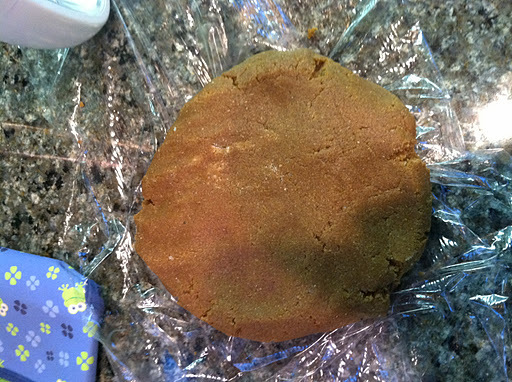 Depending on how thin your cookies are, bake for about 10-15 minutes or until the edges just start to darken. Remove from the oven, set the sheet pan with the crackers on a cooling rack and allow to cool completely. 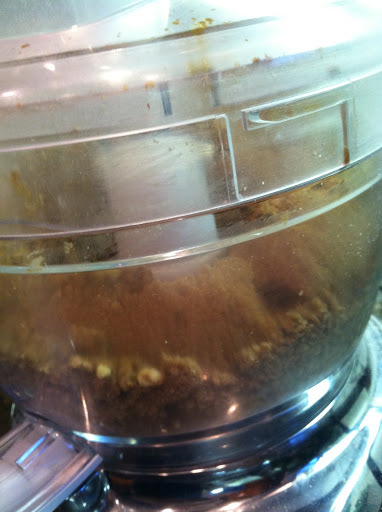 Once completely cool, break into individual crackers and store in an airtight container for up to 2 weeks. Aren’t those lovely? And LBB loves them. We can take them anywhere for an easy snack that everyone likes. 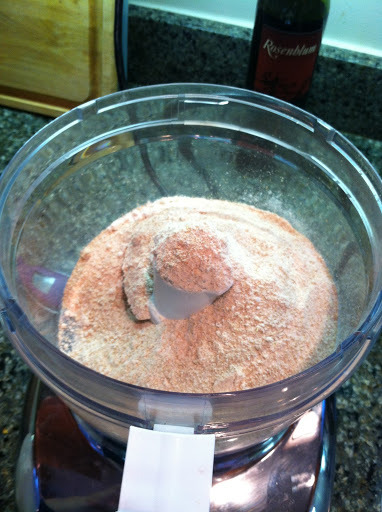 And even though it does take some time to roll out and bake, the food processor makes quick work of the dough. Oh… My question appears to have disappeared… I am wondering if the crackers spread much as they bake, or can you sort of over-fill your cookie sheet?